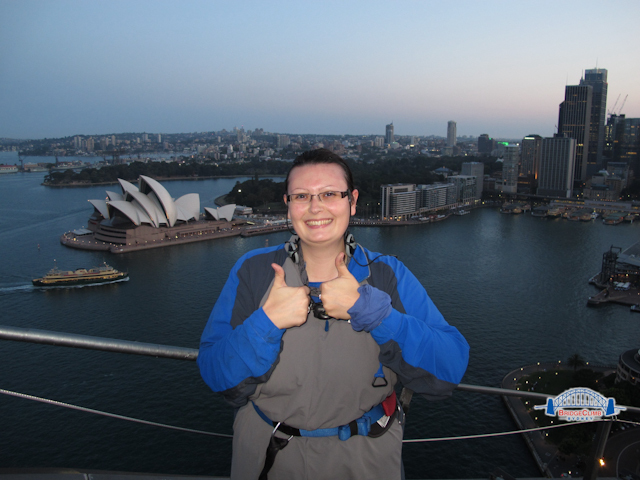 Yesterday I did the Sydney harbour bridge climb. The experience was given to me as a gift from Jonathan and Shelly for shooting their wedding! They said they wished it was something they had done when they had been to Sydney and gave me a gift voucher of enough to cover the slightly more expensive twilight time option that is very worth the price difference! I was a little nervous but had been assured it was easy. You are very well looked after and fully kitted out by the staff at Bridge Climb. And attached to a wire on the bridge the whole time. 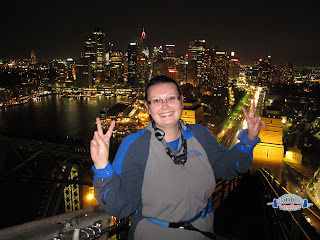 Then you get 'free time' on the bridge, obviously you aren't going anywhere but you really get the time to enjoy the experience with a guide who is very reassuring and knowledgeable. My group was 14 people and this is a good amount I found, you stay in an order and get to know those around you. So in terms of view you get the best of both night and day. And I love the night views, I'd kill to take my camera up there and do a slow shutter of the cars with the skyline! But nothing can go up with you from cameras to watches to your own trousers!! Apologies for the Japanese tourist photo poses, what else was I supposed to do!? Next weekend I'm flying to the Philippines for 19 days before returning to Sydney for Christmas. It's going to be interesting, I haven't been to such a poor country since Ghana over 10 years ago. But my time on ships introduced me to so many friendly and kind Filipinos that I cannot wait to see this beautiful country (made up of 7107 islands!) and I have booked myself on some amazing tours as well as visiting friends! I will be sharing some exciting panoramas when I get back I'm sure!